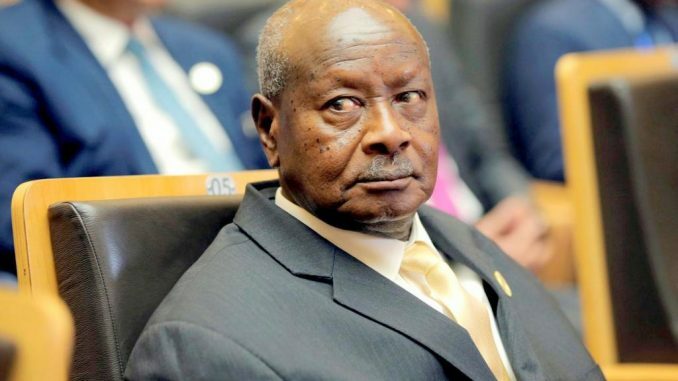 The President of Uganda, Yoweri Kaguta Museveni has cautioned men in Uganda to desist from the practice of living a risky lifestyle under the cover of circumcision. 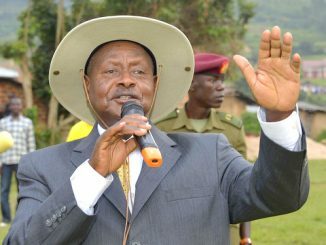 President Museveni says that it has become a practice among a cross section of men to start risky sexual behavior after circumcising urging that their chances of getting HIV/AIDS have been reduced. The President said this last week on Friday evening during the launch of “The Presidential Fast-track Initiative on ending HIV/AIDS in Uganda, by 2030” held at the Isingiro district headquarters. He revealed that circumcision helps reduce the chances of contracting the virus but does not leave one in a complete safe zone. 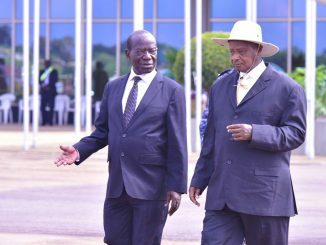 The President added that the initiative was rolled out to do away with what he describes as laxity among many Ugandans. Museveni says that those who acquire HIV/AIDS should immediately commence treatment to have the viral load under control. He adds that the people must be told that the best practice is change the sexual behavior. 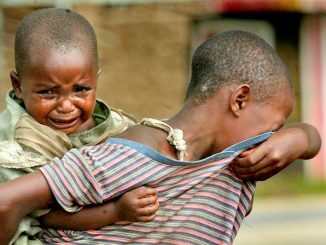 Barbra Kemigisha, one of the people living with HIV/AIDS said she acquired the disease from her uncle who defiled her at the age of sixteen (16). Kemigisha says that the biggest challenge is that stigma still remains in the communities. Edison Tushemereirwe. the district health officer for Isingiro revealed that the district is grappling with a total of 110,010 people living with HIV/AIDS. Tushemereirwe revealed that the patients are currently starting on treatment and counseling to ensure that they live longer and continue doing their work as usual. 64% of the above are female while males account for 36%. The initiative dabbed 90-90-90 focuses on eradicating the spread of HIV/AIDS by the year 2030. The initiative will focus on testing, treating and counseling.